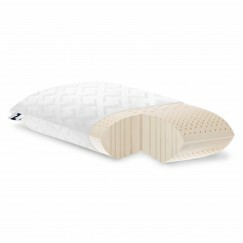 Malouf Z Zoned Dough Memory Foam + Chamomile Pillow. Relax naturally with plush memory foam paired with relaxing aromatherapy spray. Plush, pressure-easing Dough® memory foam is infused with the scent of chamomile for cozy, natural relaxation. Roman chamomile is known for its soothing and relaxing properties. A mini spritzer bottle of natural Roman chamomile aromatherapy spray accompanies the pillow to refresh the aroma. 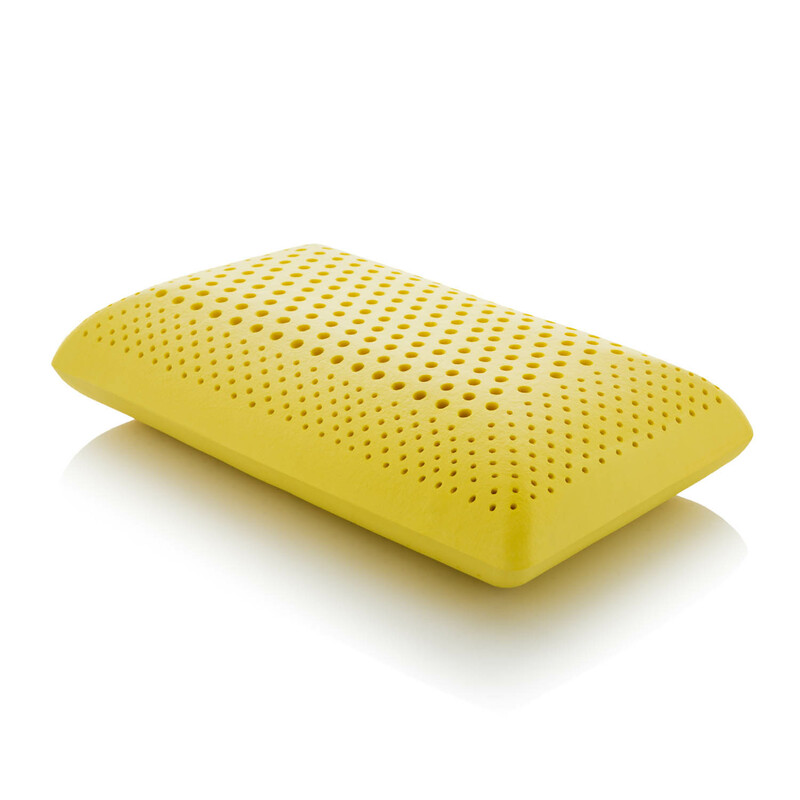 Zoned Technology design creates larger holes in the center of the pillow to cradle the head and smaller holes around the edges for superior neck support. A beautiful and soft Tencel® mesh cover adds the temperature- and moisture-regulating comfort of eco-friendly fabric.